EP Easy Storage offers residents of El Paso six premier storage facilities with all the amenities you need for a successful storage experience. With six fantastic facilities in El Paso, you’ll never be very far from an EP Easy Storage facility. 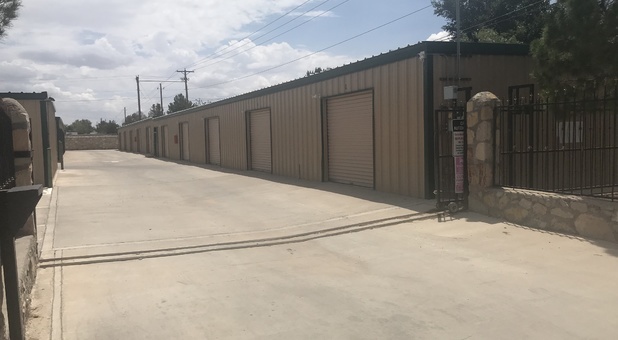 Each of our facilities is located in proximity to both residential and commercial neighborhoods, making each of our properties a convenient storage destination for anyone in the El Paso, TX metro. Come see us at one of our locations and let us help you with your storage problem! We take our customers’ needs very seriously, and we know that you count on us to provide you with the best storage options that we can. We are committed to maintaining pristine facilities with all the features that you need to make your storage experience as convenient as possible. Most of our facilities in El Paso even offer 24-hour, drive-up access! Security is one of our top concerns at EP Easy Storage, so you can always rest easy knowing that your belongings will remain untouched and safe inside your unit when you rent with us. We use state-of-the-art security features, from our secure unit technology to our surveillance systems. You can depend on us to keep your unit secure in El Paso!